If you have ever visited Kalkan you cannot fail to notice how many street animals there are. What is perhaps surprising is how much they seem to enjoy human company. Quite often a tourist finds that a street dog or cat will adopt them for the duration of their holiday. We frequently hear newcomers to Kalkan telling us how amazed they are that a dog escorts them back to their villa or hotel every evening and then just trots off, duty done, as it were. Sometimes people get so attached to a particular animal that they decide to take it home to the UK or to Europe. Some of the street dogs and cats would hate to leave the streets of Kalkan and are street animals through and through, but many others would love nothing more than to live in a home with people that really love and want them. It is now simpler to take an animal abroad since quarantine laws changed on January 1st 2012. In the UK, DEFRA has now put in place the Pet Travel Scheme. This involves a series of processes to meet the criteria required to obtain a Third Country Certificate, this is the official document instead of and containing the same information a European Pet Passport contains. The Process takes approximately four months from the time the rabies inoculation is administered, this cannot be given to puppies or kittens until they are 12 weeks of age. A blood test to confirm the animal has a satisfactory level of protection against rabies is taken 30 days later. The blood is sent to an authorised laboratory in Ankara for testing and assuming the result is satisfactory the animal should be able to travel after 3 months from the date the blood sample was taken. Transportation; In general most people opt for air travel and there is a choice of carriers. Thomas Cook operate directly into the UK and various other airlines to European cities. There is also an option for over land travel via specialist carriers such as TurkUK (based in Fethiye) and Paws Bulgaria. Please note that KAPSA cannot help fund adoptions, there are too many animals here we need to help with our very limited resources. 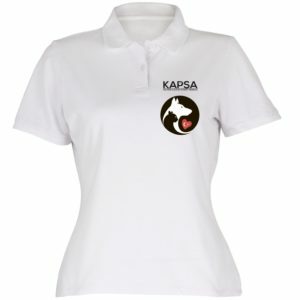 However a breakdown of current costs, care for your pet during the 4 month wait, contact details for vets, travel crates and the answers to many other questions are available by contacting KAPSA on the following email address, we will help you every step of the way to help ensure a smooth trouble free adoption. Step 2 – Have your pet vaccinated – After the microchip has been fitted your pet must be vaccinated against rabies. There is no exemption to this requirement, even if your pet has a current rabies vaccination. Rabies boosters must be kept up to date. Step 3 – Arrange a blood test – After your pet has been vaccinated, it must be blood tested to make sure the vaccine has given it a satisfactory level of protection against rabies. The blood sample must be taken at least 30 days after vaccination. The length of the waiting period before entry to the UK is three calendar months from the date your vet took the blood sample which led to a satisfactory test result. The three month waiting period will not apply if your pet was vaccinated and blood tested in the EU and issued with an EU pet passport before it went to an unlisted country. Step 4 – Get pet travel documentation –You will need to obtain an official third country veterinary certificate. Step 5 – Tapeworm treatment– (dogs only): before entering the UK, all pet dogs (including assistance dogs) must be treated for tapeworm. The treatment must be administered by a vet not less than 24 hours and not more than 120 hours (1-5 days) before its scheduled arrival time in the UK. There is no mandatory requirement for tick treatment. No treatment is required for dogs entering the UK from Finland, Ireland or Malta).